John J. Thatamanil teaches a wide variety of courses in the areas of comparative theology, theologies of religious diversity, Hindu-Christian dialogue, the theology of Paul Tillich, theory of religion, and process theology. He is committed to the work of comparative theology—theology that learns from and with a variety of traditions. A central question that drives his work is, “How can Christian communities come to see religious diversity as a promise rather than as a problem?” He is also an passionate but irregular practitioner of vipassana meditation and includes time for meditation in virtually all of his courses at Union. Professor Thatamanil’s first book is an exercise in constructive comparative theology. The Immanent Divine: God, Creation, and the Human Predicament. An East-West Conversation provides the foundation for a nondualist Christian theology worked out through a conversation between Paul Tillich and Sankara, the master teacher of the Hindu tradition of Advaita Vedanta. Professor Thatamanil is currently completing his second book, The Promise of Religious Diversity: Constructive Theology After Religion (Fordham University Press). That book takes up the recent and extensive literature on the Western construction/invention of the category “religion” with the following questions in mind: If “religion” is a relatively recent invention of the modern West, then is the category applicable to non-Western cultures and traditions? Can we really divide the world up into a set of discrete world religions? If it is problematic to talk of “race relations” now that we know that race is a construct, a biological fiction, does it still make sense to talk of interreligious dialogue if “religion” too is likewise a fiction? Does it still make sense to ask if the world’s “religions” are paths up the same mountain or paths up different mountains? How should theologies of religious diversity be reconfigured in light of these new questions and challenges? Professor Thatamanil has also begun research and writing toward a third book, Theology Without Borders: Religious Diversity and Theological Method. The central question for that book is this: if the theologian is one who thinks from and for a particular religious tradition, then how can comparative theologians seek to learn from traditions other than their own? Should they? 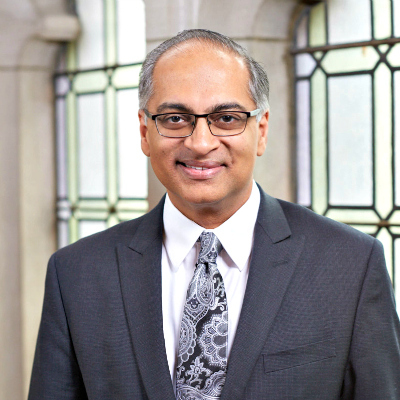 Professor Thatamanil is a past-president of the North American Paul Tillich Society (NAPTS) and the founding Chair of the American Academy of Religion’s Theological Education Committee. He is a frequent lecturer in churches, colleges and universities both nationally and internationally. He also co-edits (with Dr. Loye Ashton) a book series for Fordham University Press on “Comparative Theology: Thinking Across Traditions.” He blogs periodically for The Huffington Post and other online publications and has published editorials in The Los Angeles Times and The Washington Post.